Pre-dotcom crash, pre-banking crisis, this 1997 classic stands the test of time. 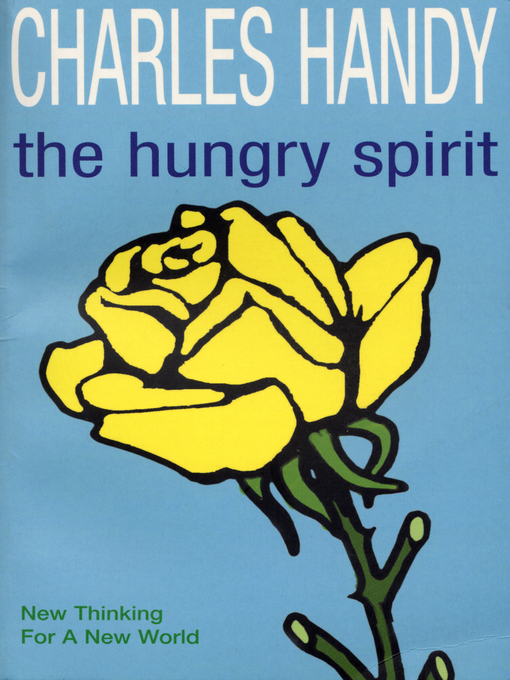 Charles Handy is often described, in one of those rather hyperbolical phrases, as 'Britain's only world-class management guru'. This can be challenged - for one thing, Handy is Irish born and, for another, his remit runs wider than management. But he is certainly a distinguished bestselling author and thinker, with over a dozen books to his name. In The Hungry Spirit he marked a formal shift from the narrower world of management writing into something broader. We are hungry for more than mere commercial or professional success, he argues. We should commit ourselves to something bigger and more durable than a better car or a fancier house. And if we are honest with ourselves, Handy suggests, we know this too. Not a bad prediction for 1997. Handy has stood the test of time.